Calabasas Mommy hosts Storytime and Play Date near The Oaks Mall indoor play area from 10am to 11am every 3rd Friday of the month. Near the JCPenney Court. Meet and greet at 10am, kids’ crafts and family story time at 1015am, including parent/child reading circle and parachute play and more craft time at 10:30am. The Kids Fun Zone program at Janss Marketplace in Thousand Oaks will take place the last Saturday of the month from March through October in 2019. This free event takes place from noon to 2pm near Burlington. The Conejo Recreation and Park District maintains over 4 dozen parks in the Conejo Valley. These parks contain over 20 tennis courts, close to 30 basketball courts, dozens of softball/soccer fields, nearly 150 swing sets, around 100 slides, dozens and dozens of play structures and jungle gym equipment and countless other fun things for the kids. Most parks are open to the public from 7am to 10am, with the exception of Conejo Community Park and Lynn Oaks Park (7am-6pm Oct-Mar, 7am-8pm Apr-Sep), Conejo Creek North Park (7am-6pm Nov-Feb, 7am-7pm Mar & Oct, 7am-8pm Apr-Sep) and Conejo Creek Dog Park (7am-8:30pm). CRPD maintains a list of parks it maintains at crpd.org/parkfac/parks/default.asp. Some additional observations below. Pepper Tree Playfields has multiple playing fields for soccer, baseball, etc. and is a popular spot for local team sports. The park is equipped with a decent sized play area and smaller kids' play area that was updated in 2008. There's also a .8 mile fitness trail course that runs around the perimeter of the park. Conejo Creek Park - North in Thousand Oaks behind the Thousand Oaks Library is easily my kids' favorite park. It is large, has nicely appointed play areas, plenty of restrooms and parking and two large duck ponds with a 720 foot creek joining them. The playground also has a NEOS, an interactive, electronic game with flashing lights, music and sound effects. If you are a duck fan, Conejo Creek Park - North will not disappoint you. There are more ducks per square foot here than the Anaheim Ducks locker room! Borchard Community Park in Newbury Park (Reino Road and Borchard Road) is another large park with multiple playing fields, restrooms, separate play areas for older and younger kids that are quite interesting and newly updated with a farm motif in Fall 2014, tennis courts and a community center where hundreds of CRPD classes are held each year. Dos Vientos Community Park in Newbury Park (4801 Borchard Road) is also a large park that has multiple restrooms, numerous playing fields, separate play areas for large and small kids, a large, covered picnic table and BBQ area, lots of parking and is another active community hub with hundreds of CRPD classes taking place each year. Thousand Oaks Community Park (2525 N. Moorpark Road) is a large park that holds numerous annual CRPD events (such as the extremely popular "Touch-a-Truck" event near Father's Day, Halloween events, etc.) and hundreds of CRPD community classes. Nice playground there too, including the popular "Ant Hill." Conejo Creek South Playfields at 1300 E. Janss Road in Thousand Oaks is primarily used for team/league sports, both day and night. However, other events often take place there, such as Conejo Valley Days, Circus Vargas and various CRPD community events like an annual Easter egg hunt. Although there are no playground areas here, the Conejo Creek Bike Path runs through this park to the Thousand Oaks Library, making it a perfect place to take your young ones who are learning how to ride a bike! Conejo Community Park at Dover and Hendrix in Thousand Oaks is a nicely sized park that is well known for the extremely popular CRPD free summer concert series. In November 2008, a new play area was completed between the community center and the Botanic Garden that includes a rock and rope climbing area along with a separate play area for the younger set. There's also a creek that runs through the park and the Kids' Adventure Garden adjacent to the park open on Sundays only is a great activity for your younger set. Rancho Conejo Playfields on North Ventu Park Road in Newbury Park has a large expanse of grass for soccer games and a baseball diamond. There is a fun kids area there. A fun place for the kids to run around. Not a lot of fully grown trees at this park. Plenty of parking. Old Meadows Park at 1600 Marview Drive in Thousand Oaks is hidden away off of Erbes Road in Thousand Oaks and is where the CRPD Therapeutic Recreation Unit is located. Kind of a quiet, low key, fairly undeveloped park that is geared towards the local neighborhood and younger children. The park features the Rotary Dreamcatcher Playground geared towards children with special needs with a sensory interactive play area stimulating senses and abilities. But all kids are welcome! Banyan Park at 3571 Erinlea Ave in Newbury Park is a small neighborhood park with restrooms, small covered picnic area and a small kids playground area. Lang Ranch Community Park at 3287 Lang Ranch Parkway, Thousand Oaks has a large open space for baseball, soccer, etc., a nice playground, a basketball court, etc. Right across the street from the Chumash Indian Museum and Oakbrook Regional Park. Plenty of parking on the street and restrooms are available. Stagecoach Inn Park at 51 S. Ventu Park Road in Newbury Park is a relatively small park with no restrooms and a small kids play area. There is one basketball court. It is adjacent to the Stagecoach Inn Museum and parking is fairly limited. Waverly Park at 1300 Avenida de las Flores in Thousand Oaks is a fairly small, older park geared towards local residents. Wildflower Playfield at Avenida de los Arboles at Canna Street, west of Lynn Road in Thousand Oakshas 19 acres, tons of grassy area for soccer and baseball, a nice playground area, 4 tennis courts, a basketball court, restrooms and more. The 26 acre Del Prado Playfield in the Dos Vientos section of Newbury Park opened in January 2013, with a cool new playground, tennis and pickleball courts, restrooms, plenty of parking, playfields and nearby hiking. The expansive Sapwi Trails Community Park opened in the fall of 2018. This 145 acre park is located in the open space between Erbes Road (at Scenicpark Street) on the west and Westlake Boulevard east, with Avenida de los Arboles on the north. The park has numerous features, including s disc golf course, trails for hiking, biking and horseback riding, playground, beginners’ bike park, terraced areas with picnic benches and more. And there's more...click here for a compilation of parks throughout Ventura County. 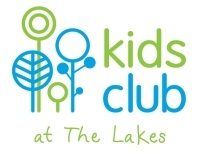 The Kids Club at The Lakes meets every Wednesday of the month from 11am to noon on the lawn during the months of April through October. Geared towards kids 10 and under. Call 805.497.9861 for more information. Events are outdoors; rain generally cancels events but call first. Events vary from puppet shows to storytellers to musicians, petting zoos, arts and crafts, etc. for preschoolers and their parents. These are outdoor events and are weather permitting. Contact The Lakes for more information at 805.497.9861 or www.shoplakes.com. In addition to the kids club, The Lakes has a small playground area that is geared toward the younger kids, an expanse of grass and 2 beautiful lakes, waterfall, fountain, etc. This is a nice park-like setting that makes you forget the fact that you are looking straight out at Thousand Oaks Boulevard. We have colorful crew joining us, flying in on strings for an enchanting act of puppetry. Joe and his team have built some of the industry’s most intricate and finely crafted puppets for a show that will make you laugh and shout with joy. Learn all about these fascinating animals with Courtney and Chris! Get up close and personal with your favorite cold-blooded creatures, featuring snakes, lizards, and more. Direct from Knott’s Berry Farm, this amazing juggler shows off original tricks in an attention-grabbing show that’s fun for the entire family. This trained singer/songwriter has honed in on the perfect combination of interactive music and storytelling for children. Join in and sing along with Claire as she takes the audience on a lyrical journey. Stop by The Commons at Calabasas (4799 Commons Way) every Tuesday night at 6pm for a weekly dose of fun, including music, dance, arts, crafts, entertainment and so on. Join musicians Jonathan and Matthew as they stimulate your child’s mind through upbeat and interactive original music. The BeatBuds inspire the creative and logical minds while providing a fun and engaging experience through song. See classic tricks performed in a uniquely new way with Allen, a practiced magician with over 20 years of expertise, including shows at The Magic Castle. Prepare to be amazed with tricks like you’ve never seen before! Engage your kids in a storytelling show with the Noteworthy Puppets. Follow Kid Zorro on an adventure to embrace his family’s destiny and help him save the town from evil! For more information, visit www.shopcommons.com. For Little Kids, Free Activities! The Annex Food Hall at The Collection at RiverPark is host to a Kids Club on the last Wednesday of each month from 10:30am to 11:30am. Bring your kids for storytime and crafts with the Oxnard Public Library and First 5 Ventura County. Brandon's Buddies is a free kids club that meets every month at Brandon's Village at Gates Canyon Park located at 25801 Thousand Oaks Boulevard, Calabasas. This playground is the first fully-accessible playground in the region. The day may include integrated play, face painting, arts and crafts, entertainment and treats. Feel free to bring a sack lunch. All children with and without disabilities and their families who want to spend a great day playing in the sunshine and making friends are invited to participate! Brandon's Buddies gives children with disabilities the opportunity to play with their typically-able peers, while giving their parents a chance to share experiences and advice with other parents/caregivers. It gives children without disabilities the chance to get to know their peers and gain greater awareness and compassion. For more information, visit The K.E.N. Project website at www.kenproject.com or call 818.222.8118. Or visit the KEN Project calendar at www.kenproject.com/calendar. Note from Conejo Joe: The group meets USUALLY (some exceptions noted) the first Saturday of each month from 10:30 am to 12:30 pm. But make sure to check in advance. Or just show up. Upcoming dates (as of 12/19/18): Jan 5, Feb 2, Mar 2, Apr 6, May 4, Jun 1, Jul 13, Aug 3, Sep 7, Oct 5, Nov 2, Dec 7. The U. S. Navy Seabee Museum Seabee STEM Center is a well put together area of the museum geared towards exposing kids to Science, Technology, Engineering and Mathematics. More details and images by clicking the following image. JCPenney Kids’ Zone lets school-age kids create fun arts and crafts projects each month. Kids will receive a collectible pin for every project they finish. Collect six pins to receive a Project Master medallion. Kids must be accompanied by a parent. Materials will be provided. Upcoming events from 11am to noon at the JCPenney store at the Pacific View Mall in Ventura. Parents and caregivers are welcome to stay with their children and join in the fun.The Saturday art program is held at Arc of Ventura County’s Arcade Drive Community Center at 295 South Arcade Drive, Ventura.